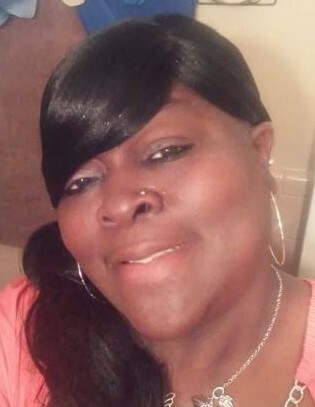 Mrs. Christine Merita Davis, age 49, of Vidalia, Ga., passed on Sunday December 2nd at Meadows Regional Medical Center in Vidalia, Ga. She was a Toombs County native and was a 1987 graduate of Toombs County High School. She was employed with We Touch Health Care of Dublin, Ga. She was a member of Phillip Temple Church of God in Christ of Vidalia, Ga.
She is survived by her loving children Ashley Shantel Howard of Savannah, Ga., and Chris Nashiem Howard of Pembroke, Ga.; a loving mother Mrs. Betty Byrd Herrington of Pembroke, Ga.; a loving sister Evangelist Sherman Mary Lee Lewis of Pembroke, Ga.; a loving brother Minister Michael L.(Linda) Howard of Hardeeville, S.C.; and a host of other relatives and friends. Family and friends visitations will be held Friday December 7, 2018 from 6-8pm at the House of God Church, 625 5th Avenue Street, Vidalia, Ga.
Home Going Celebration for Mrs. Christine Davis will be held Saturday December 8, 2018 at 11am at the House of God Church, 89 Byrd Temple Road, Pembroke, Ga., with Trial Elder Kelvin Thompson, Presiding, and Bishop O.C. Pringle, Eulogist. Interment will be held in the Mt. Pleasant Baptist Church Cemetery, Claxton, Ga.
Craig R. Tremble Funeral Home, Pembroke Chapel is in charge of the arrangements.